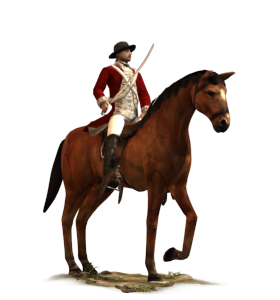 Company cavalry are equipped in European rather than Indian fashion; they fight as light, sabre-armed cavalry. Their tasks include acting as scouts, screening the main body of an army, and pursuing fleeing enemies – taking a sabre to someone already running away is likely to keep him running! It is not their main job to break enemy units or to fight other cavalry.